Ever since I moved out of my parents’ home, I have been making my own Christmas decorations. 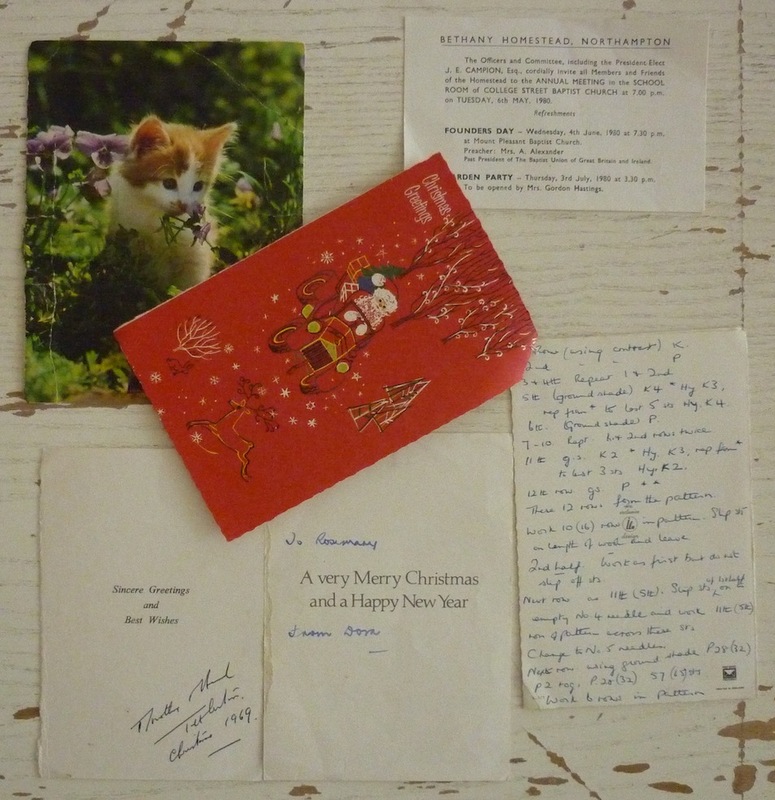 There was the Christmas tree with marshmallows as baubles (which slowly but surely sagged into the needles – impossible to get them off again to eat them), the cut-paper snow flakes on the window, the knitted Christmas stockings, and the felt stars with embroidered snow flakes. I cut the large sheets (I think they are about 50x70cm) into squares, and then did some clever origami folding and turned them into ‘balloons’. There are plenty of on-line tutorials to be found, here’s one that takes you through all the steps in great detail. I have made many of these balloons ever since I was a kid, and it still feels a like a little magic how a square of paper can be folded and blown up to turn it into a balloon, just like turning a heel on a sock still delights me. 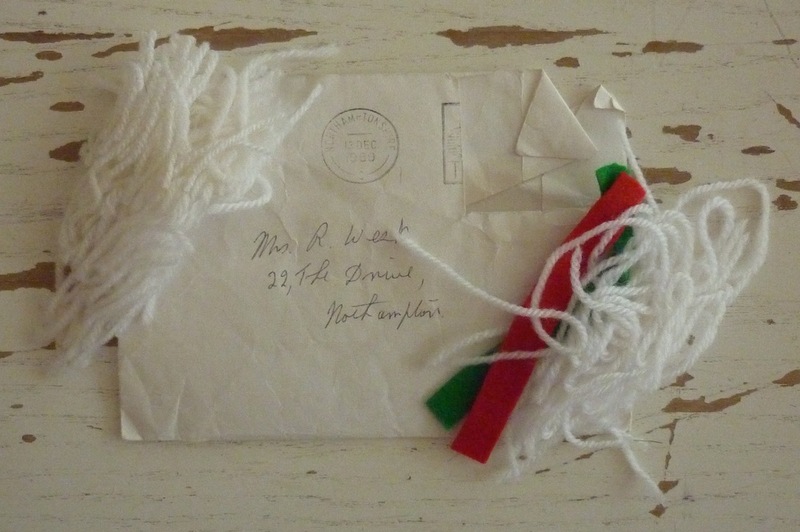 In order to be able to hang them up, I tied a cocktail stick to a piece of ribbon and inserted this through the little hole and then tied the two tails into a bow. 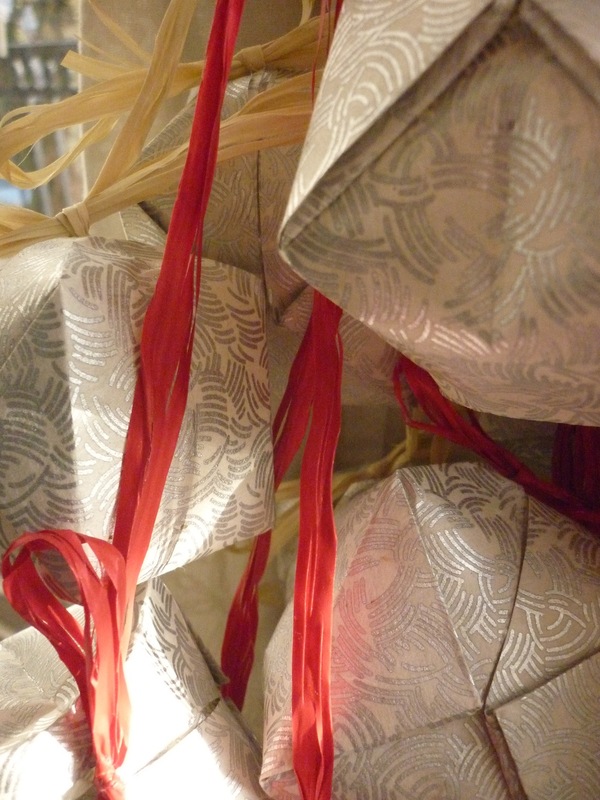 What a beautiful cluster of baubles! Keep an eye out for the next few posts to see what else I have made. 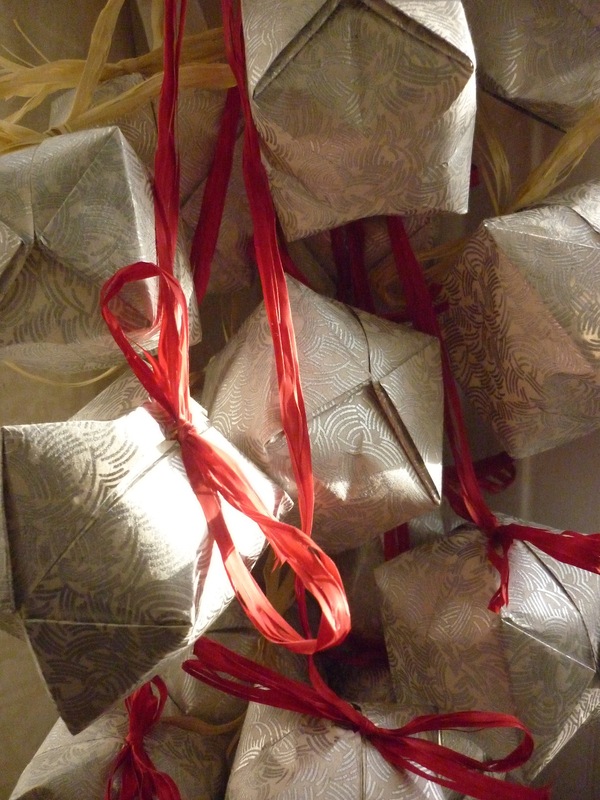 What Christmas decorations have you made this year? Before we had our offices redecorated, one of the rooms was crowded with computers and servers and it was always very hot. So we used a mobile airconditioning unit and the big plastic hose was pushed through a hole made in the window pane for this very purpose. 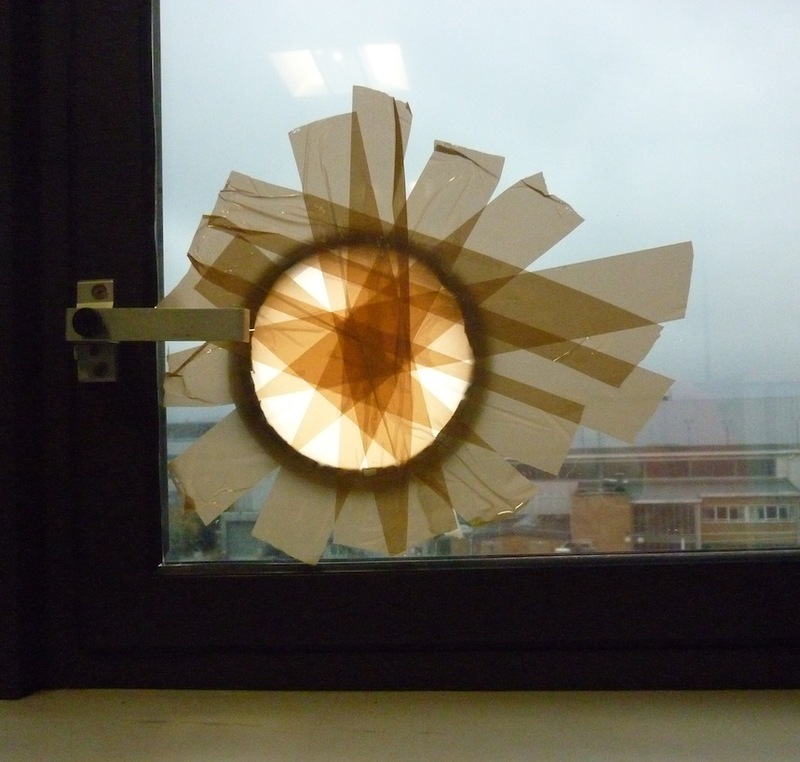 Once the redecoration was finished and the room had proper airconditioning, this was the Maintenance Department’s solution to close the hole in the window. The overlapping pieces of tape look like a star and I like how the light comes through the different layers, getting more opaque the more layers there are. 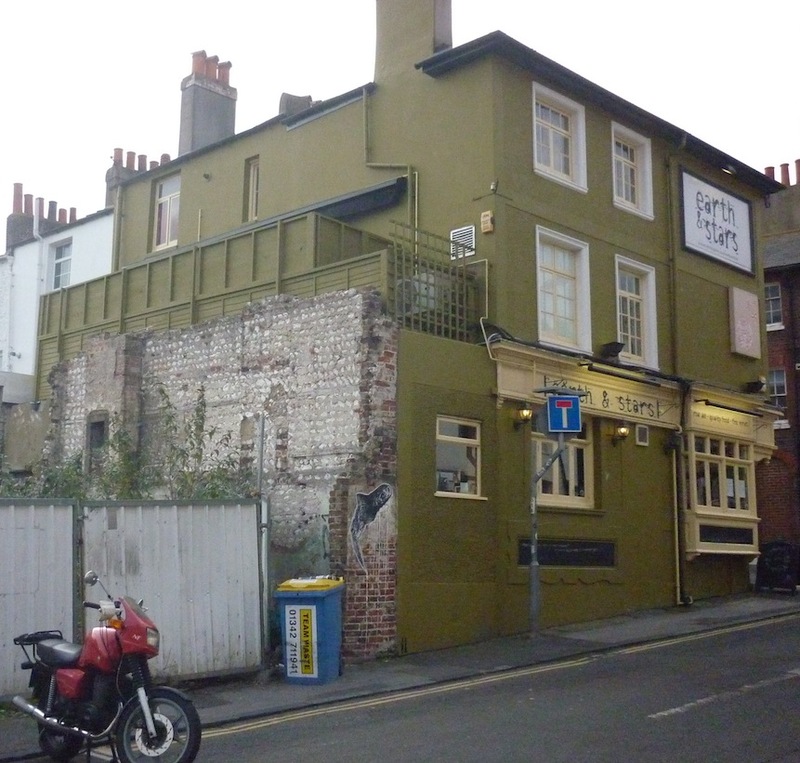 This pub in Brighton has seen most of its walls replastered, repainted, redone everything. But not the back. The contrast between the bricks and the smooth, painted walls works really well together. 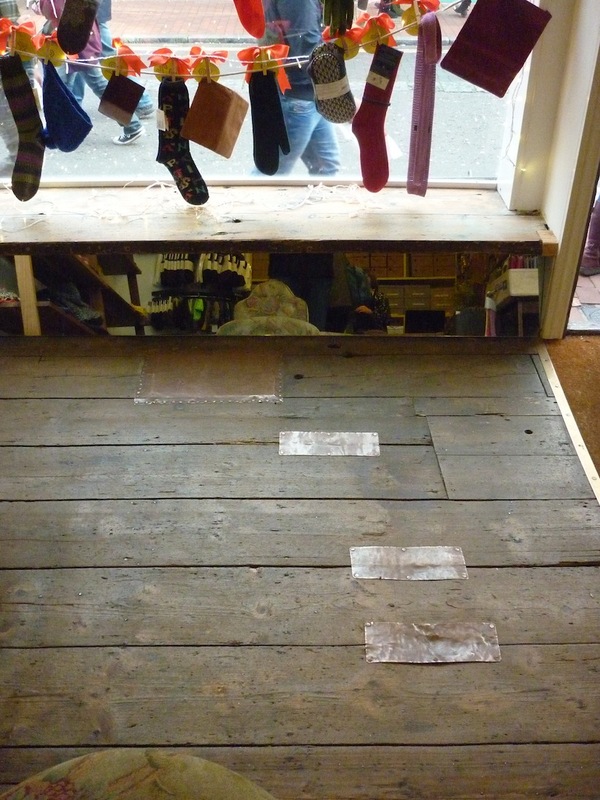 The shop floor of Laste, Brighton finest shoe shop, had some pesky floorboards. 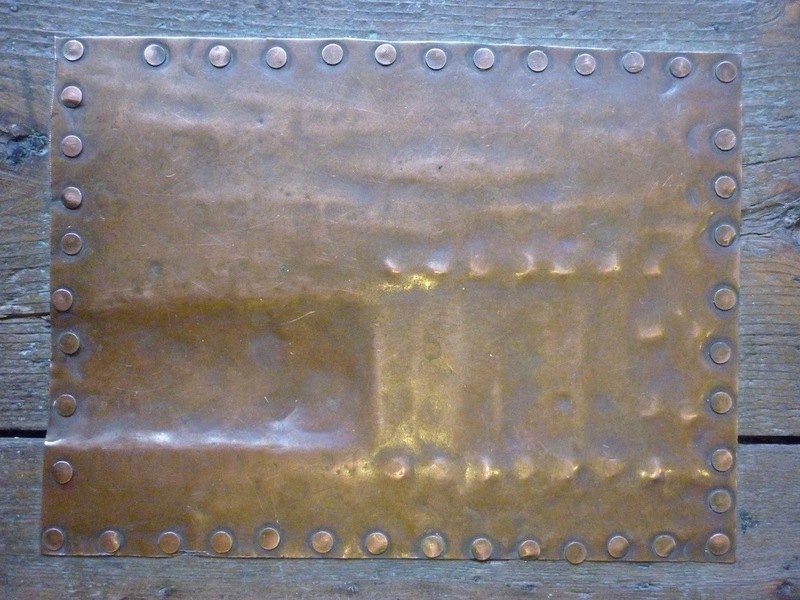 Alex (for whom I Visibly Mended a cardigan), did some Visible Mending of her own, with brass plates and nails. I particularly like the one right at the entrance. Trodden by many feet, it has acquired a great patina, but what is even better, slowly emerging is evidence of an earlier Visible Mend! Many pavements are Visibly Mended. 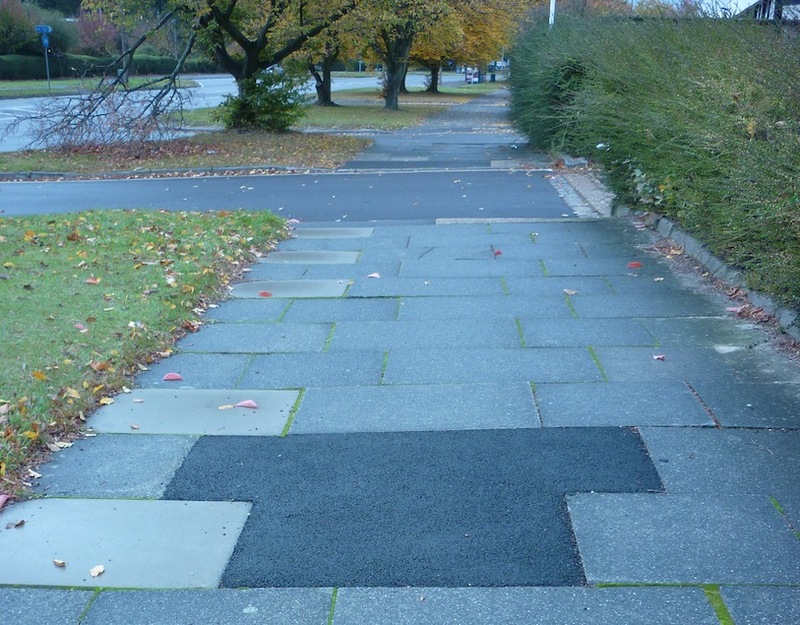 This particularly fine example, as found on the way to work, not only shows a tarmac insert in the shape of the letter T, but also some pavement slabs made from a different stone than the original one. The other day I visited that most magnificent example of Arts & Crafts architecture, the Tudor revivalist department store, Liberty’s. 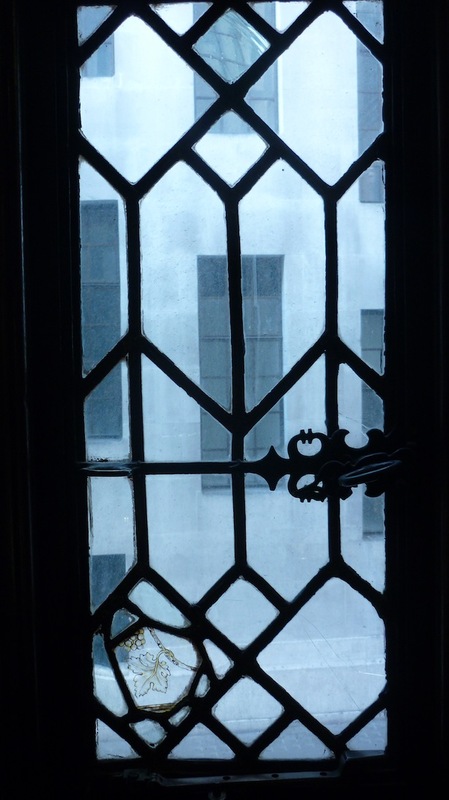 The windows in the stairwell are constructed as stained glass, but with the strips of lead holding clear panes of glass. 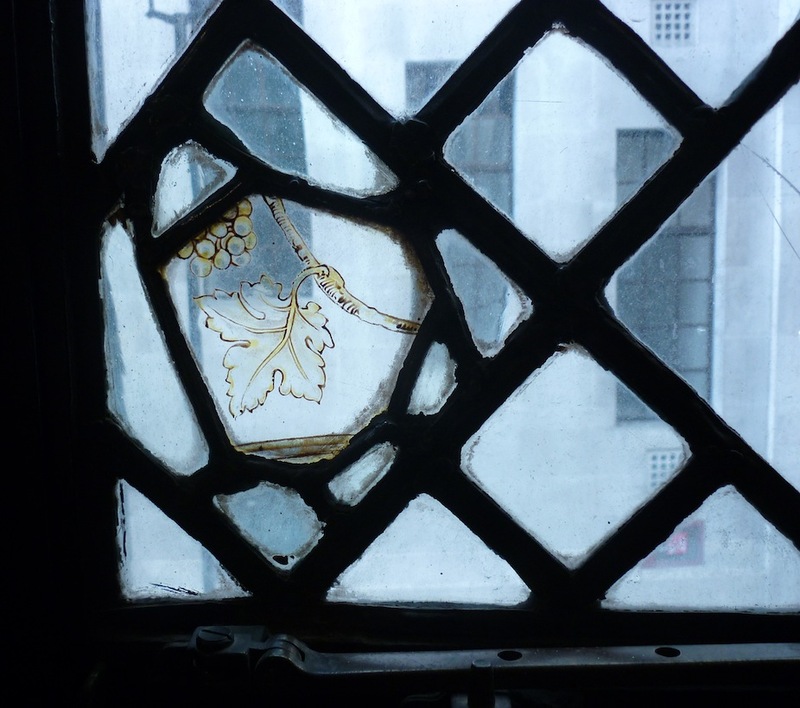 However, one of the panes got smashed and it got fixed with a small mosaique of glass pieces. One of them happens to have a grape vine painted on it, turning this window into an accidental stained glass one! As I’m going for warmth, I’ll forgo the cotton. Instead, I’ve chosen Knit By Numbers in yellow, which is a DK weight merino, knitted on 3.5mm needles to give a firm fabric. 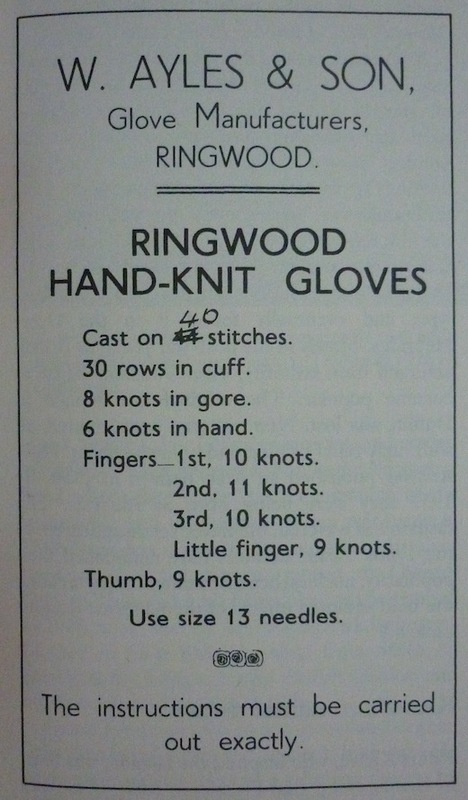 According to Rutt, the original gloves were very straightforward, no gussets or fourchettes between the fingers. 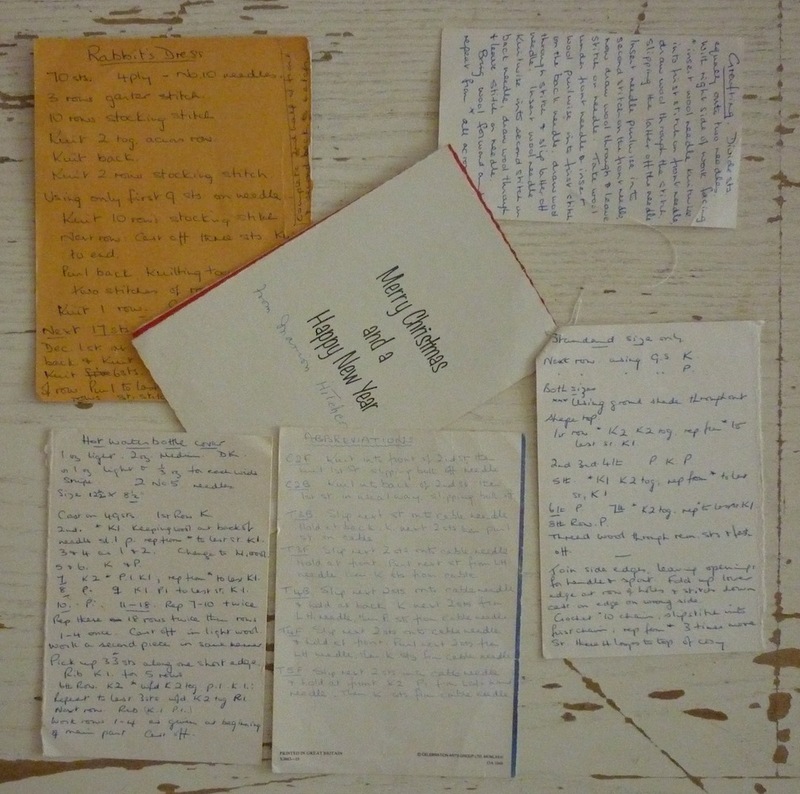 However, I’m very stubborn and I didn’t carry out the instructions exactly, as I did add those. I’m afraid Mr. Ayles would not approve. 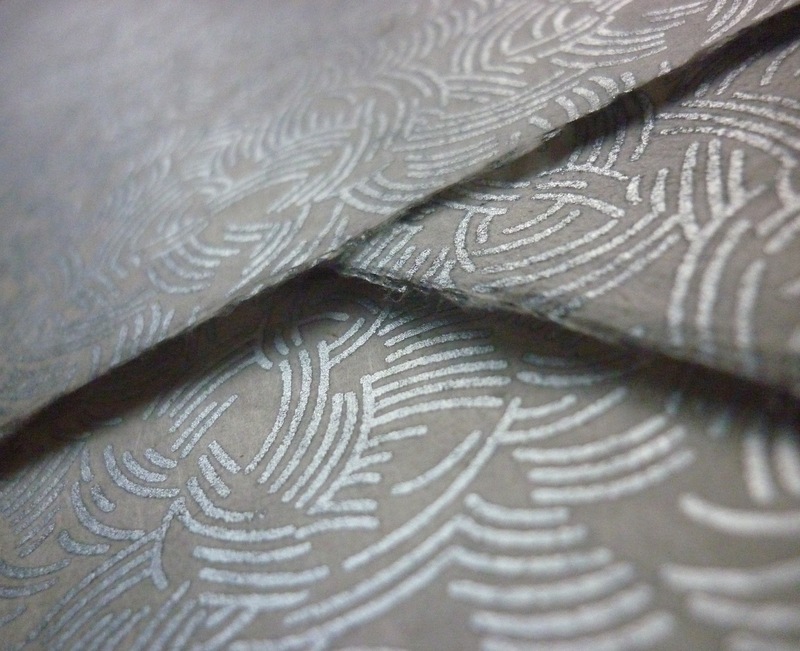 The fabric is very pleasing in texture, although I have not, as yet, put them to the wind test. Also, it is merino wool. Not my most favourite type of wool, but just look at that yellow! I just couldn’t resist. 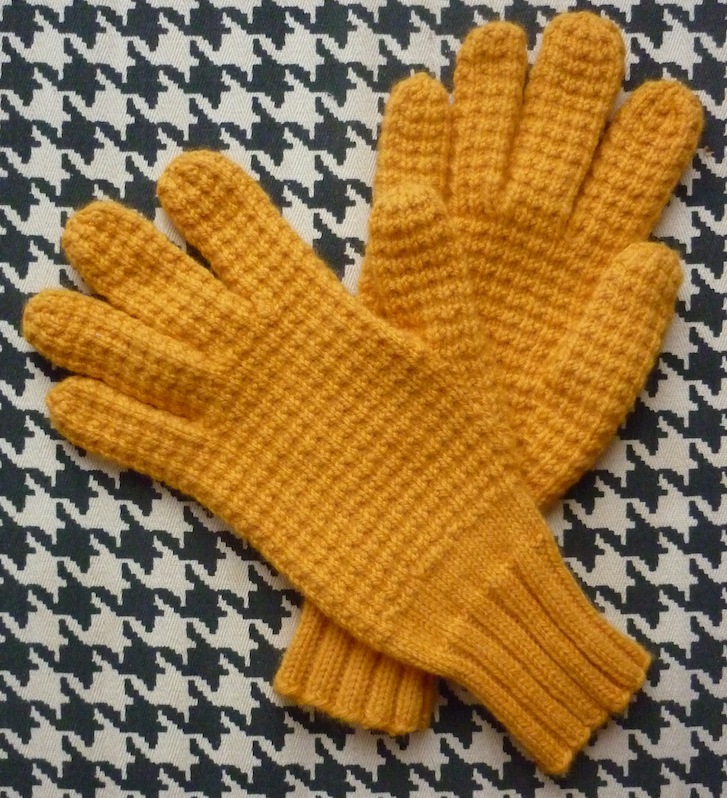 Meanwhile, I’ve set my heart on a slip stitch pattern called Close Stitch for my next pair of gloves, but I’m struggling to avoid ladders, as it requires rounds of purling. Any suggestions? In an earlier post I mentioned Susan Crawford had asked me to help her out with knitting for her new book, A Stitch In Time 2. I guess it would’ve been a leap of faith for her, as she had only seen some of my project pictures on Ravelry after Louise from Prick Your Finger had said that I might be up for it. I recognised the pattern as “Frost Flowers” from Barbara Walker’s A Treasury of Knitting Patterns. It features on its cover! Despite appearances, it is a very easy lace pattern. 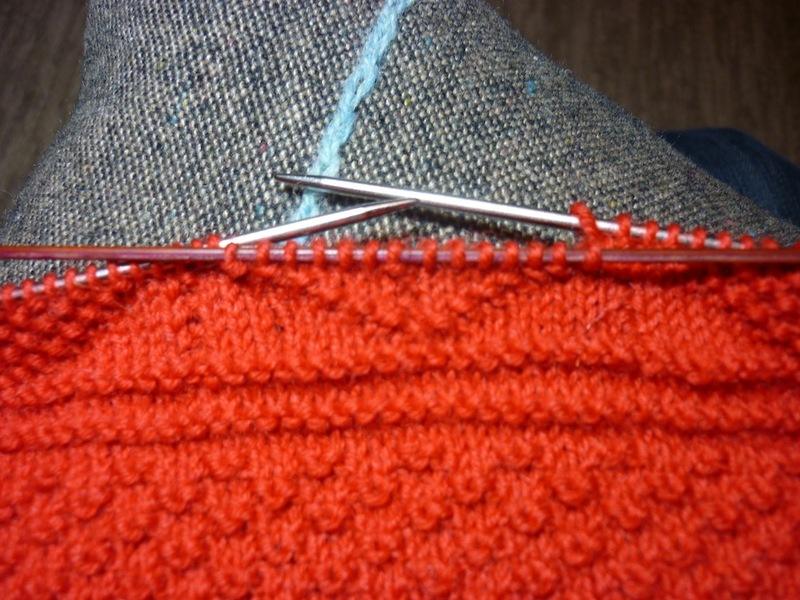 It consists of only two rows (granted, there is shaping on both rows, no rest rows here!). These get repeated three times, and then the pattern shifts by a half-drop for another three repeats of the two rows. I want all my knitwear to be photographed professionally from now on! 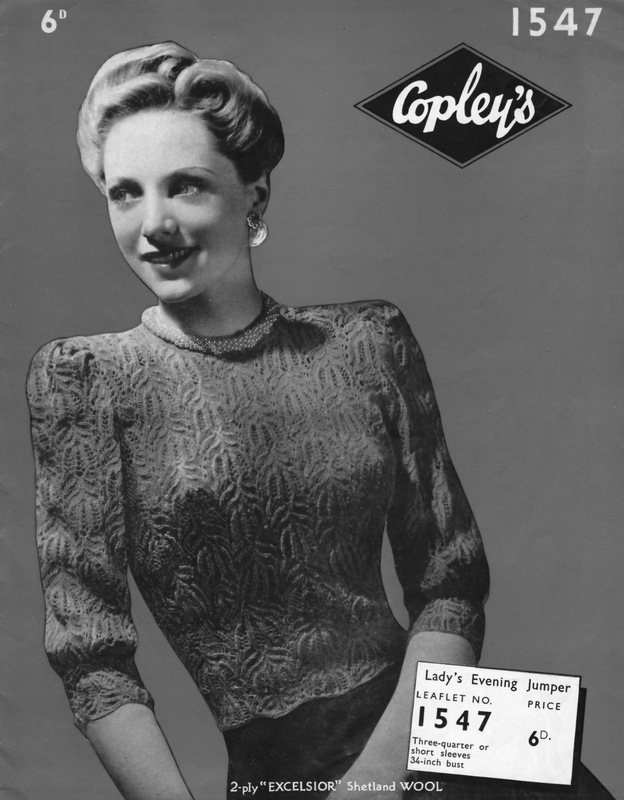 The Lady’s Evening Jumper’s original instructions left a lot to be desired. One shoulder would’ve been lopsided and more than one pattern repeat would’ve been messed up. Luckily I have an eye for detail (although my partner would probably call me overly fussy) and I think I managed to catch them all out. 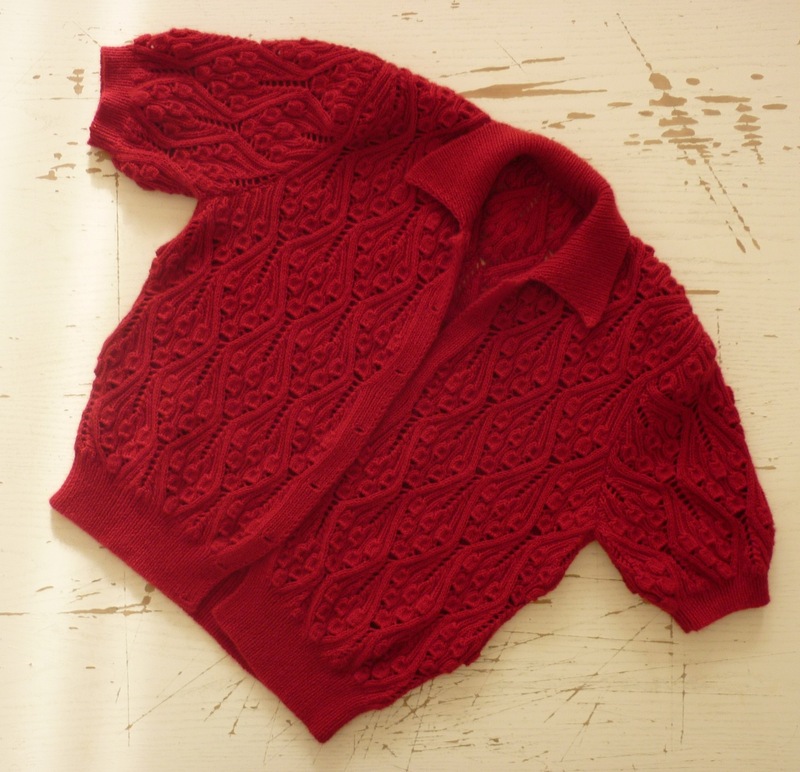 Apart from the gorgeous lace pattern, this jumper has a unique solution for shaping darts. The darts are all horizontal: you cast off in the middle of a row and on the return row you cast on a larger amount of stitches than you cast off (adding up to an additional pattern repeat). As part of the finishing, you gather the cast-on row and sew it on the cast-off row. As you can see in the pictures above, this makes for an neatly integrated and almost invisible increase, as the darts are judiciously placed (two under the bust, one on the back and one in each sleeve). The jumper is knitted in Fyberspates Scrumptious laceweight, and this makes the jumper very glamorous. However, I did knit a little practice swatch in white Jamieson’s shetland cobweb, and that also came out looking very beautiful, and I found that the decrease lines appeared accentuated a bit more due to the light colour, so I would love to see somebody knitting this up in a lighter colour, just to see the difference. It is definitely a jumper for Occasions! When I posted about my Cornish Knit-Frock, I promised I would tell you a bit more about fixing a mistake and a nifty way of counting rows. Today I will do just that, and also want to share with you what I will do differently when I knit the next one, because I just know I will. When I had knitted about eight rounds of the patterns above the bars and seeds, I noticed that the chevrons in the middle, where actually not in the middle, I was one stitch off. I knew this was going to annoy me no end, so I decided to fix it. I could frog back eight rows, but I first wanted to try something else: I decided to drop down the offending area only, and knit it back up. If that failed I could always still frog back. It didn’t take me too long before I had everything back in the middle. Definitely an easier fix than frogging eight rows! One of the things that I really don’t want to do when I’m doing some mindless knitting, is having to put down the knitting and measure, yet again, whether I’m nearly there for the ribbing to start. No, another 1/4 inch to go. So I had a brain wave after ingesting the eastern style knitting chapter in Mary Thomas’s Knitting Book (which, incidentally, has the best glove pattern ever) and a remark by Elizabeth Zimmermann about trying to keep progress when doing endless rounds of stocking stitch (possibly related to her pi shawl?). 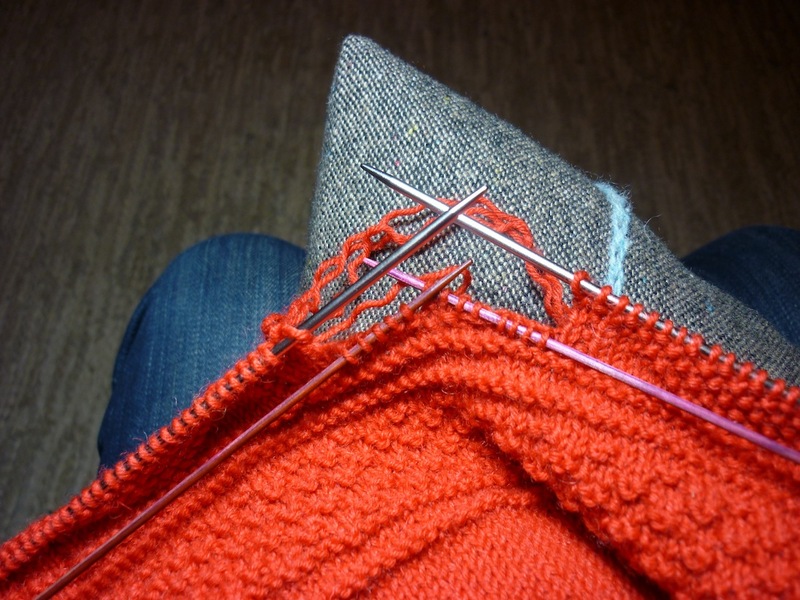 Once you are getting close to that point where you have to measure whether you have reached the right length, stop knitting a bit before you reach the end of the round. 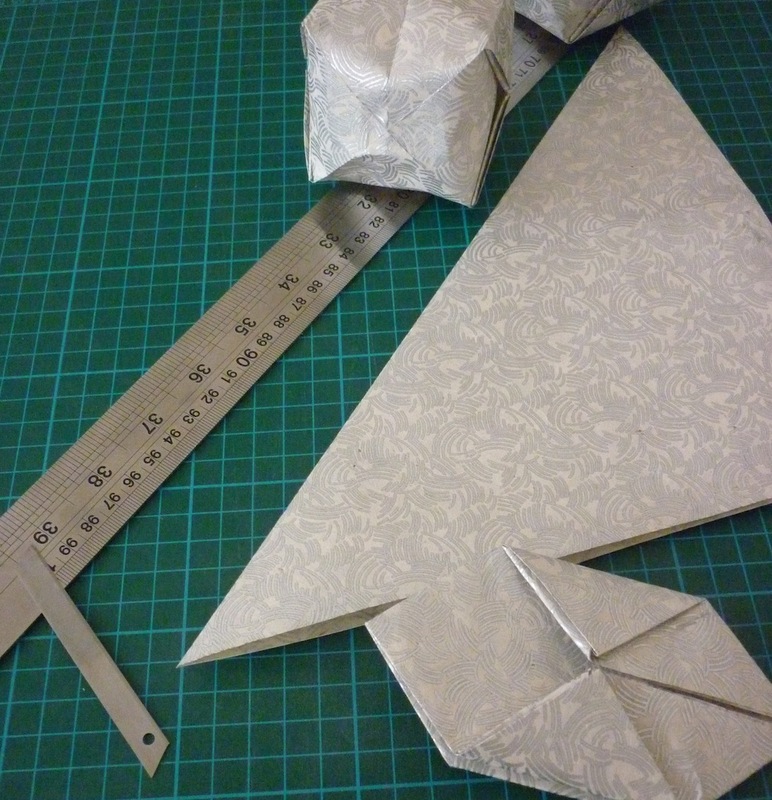 Now measure the length of your fabric and work out how much you have left to do. 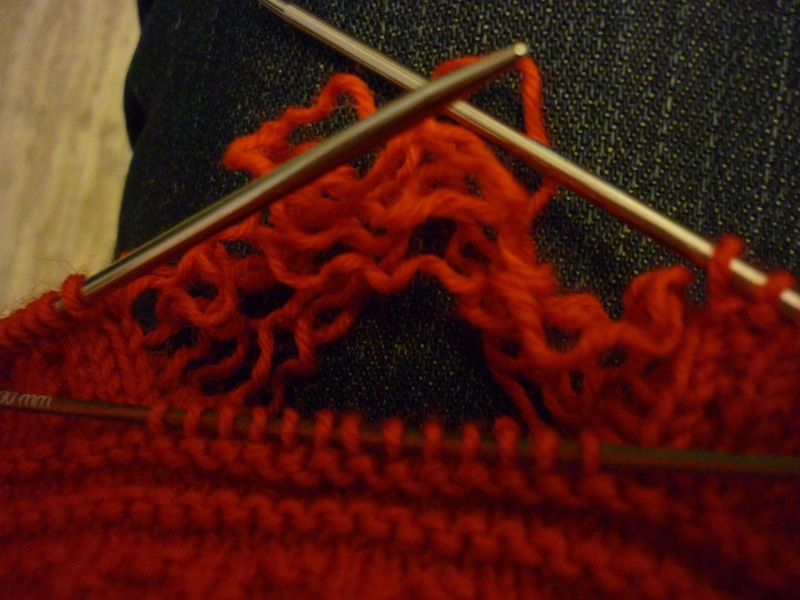 Say, you are knitting a sleeve in the round and are 1 inch away from starting the ribbing. Now your row gauge is for example 10 rows (rounds) per inch. Here comes the trick: pick up your knitting and when you have ten stitches left to finish the round, knit that tenth stitch eastern style. 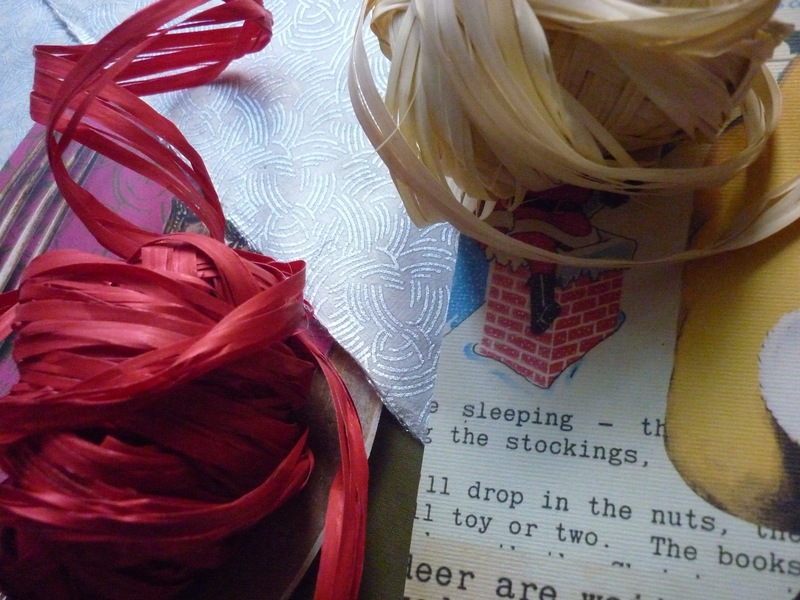 In other words, wrap the yarn around the needle in the opposite direction you normally do (normally you would wrap clockwise, so eastern style you wrap anti-clockwise). 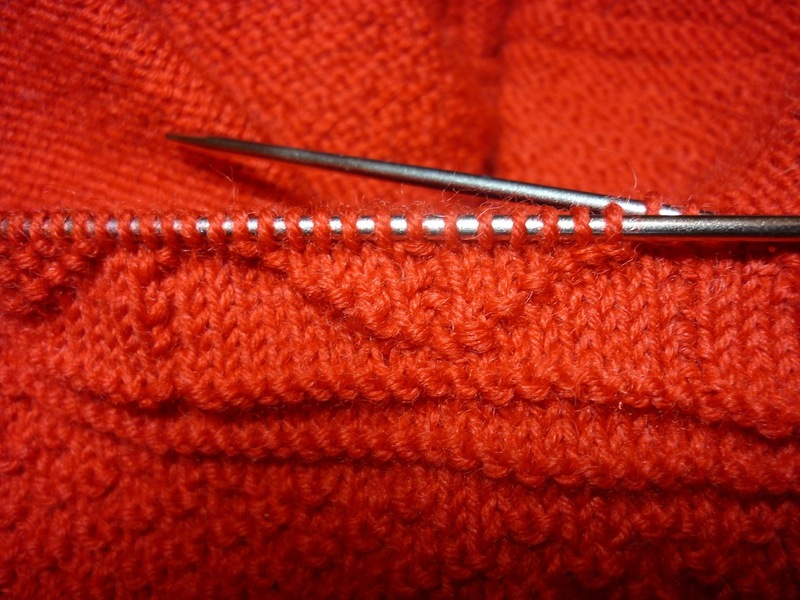 This sets the new stitch up with the right leg at the back of the needle instead of the front. Continue knitting as normal. You will hit upon that weird tenth stitch and notice that you will need to knit it through the back loop to put it right again (if you didn’t knit this stitch through the back loop, it would show up as a twisted stitch). The next stitch, nine away to reach the end of the next round, gets knitted eastern style. 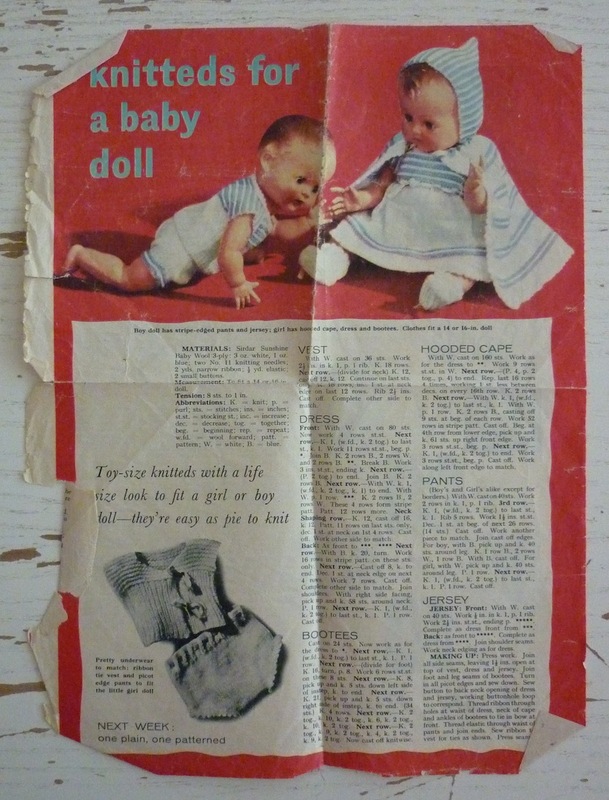 Again, continue knitting as normal, and at near completion of the round, you will have to knit the ninth stitch through the back loop. Keep going like this and it won’t be long before the last stitch to be wrapped eastern style is also the very last stitch of the round. Voila, you are ready for your ribbing! 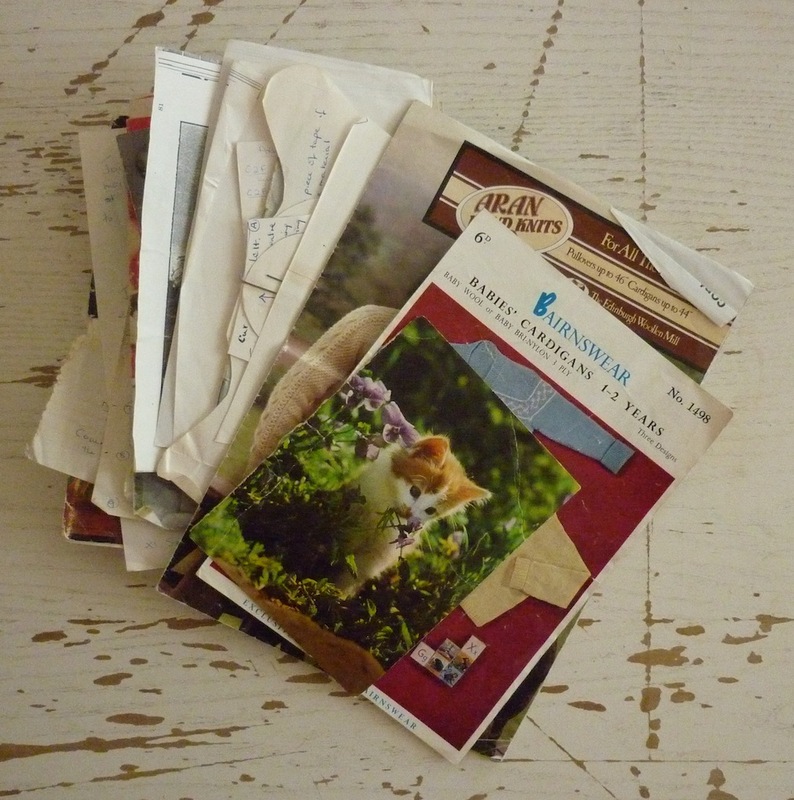 I found this also works with purl stitches. I won’t bother with fancy seam stitches. A simple single stitch garter column is good enough for me, and it won’t curl under the stocking stitch. I will knit the whole thing in the round. 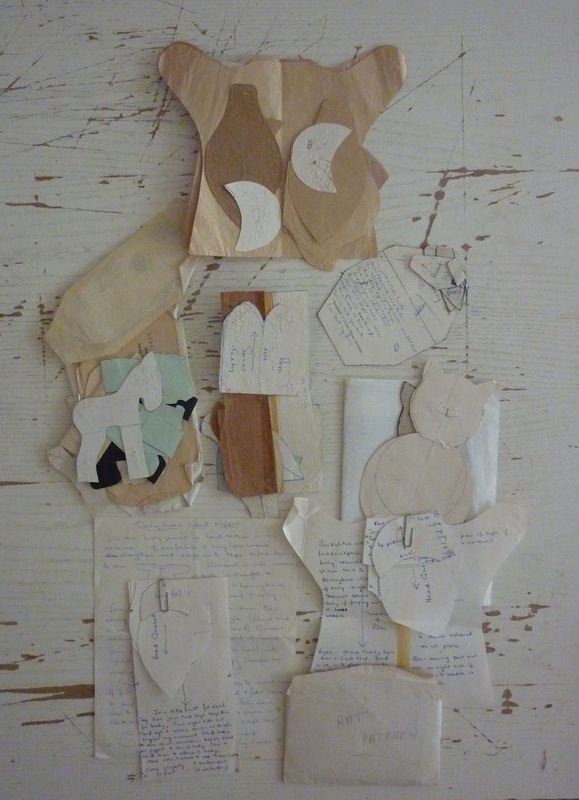 No more separating front and back and peering over the needle to see what’s going on with the pattern. Instead, I shall knit steeks. It’s much easier to see what’s going on when you’re always on the right side of the fabric. I should’ve listened to Elizabeth Zimmermann. I will get myself a set of 40cm long double-pointed steel needles and a knitting belt or sheath. I broke two circular needles knitting my knit-frock. One broke at the join cable and needle as the fabric is heavy and it forces a sharp bend. 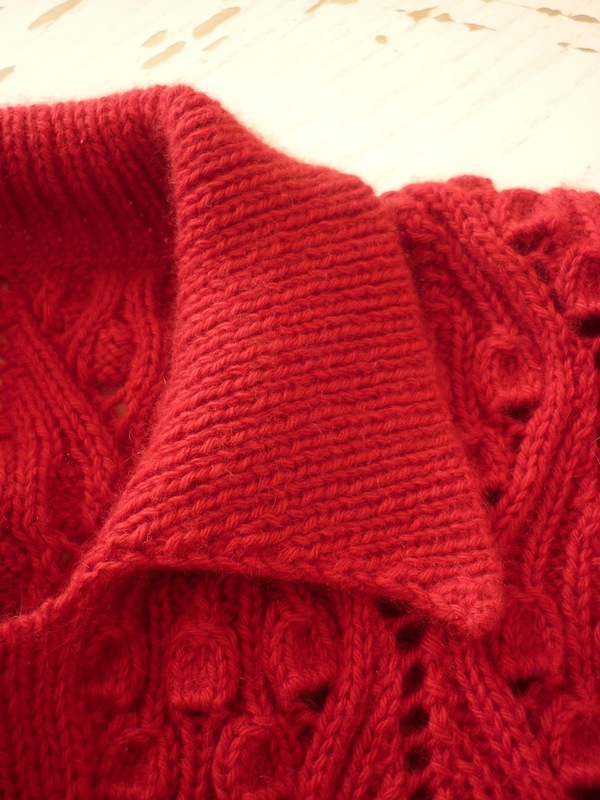 Another pair got bent, as a knit-frock is knitted in a really firm gauge and manipulating the stitches puts a lot of strain on the needles. 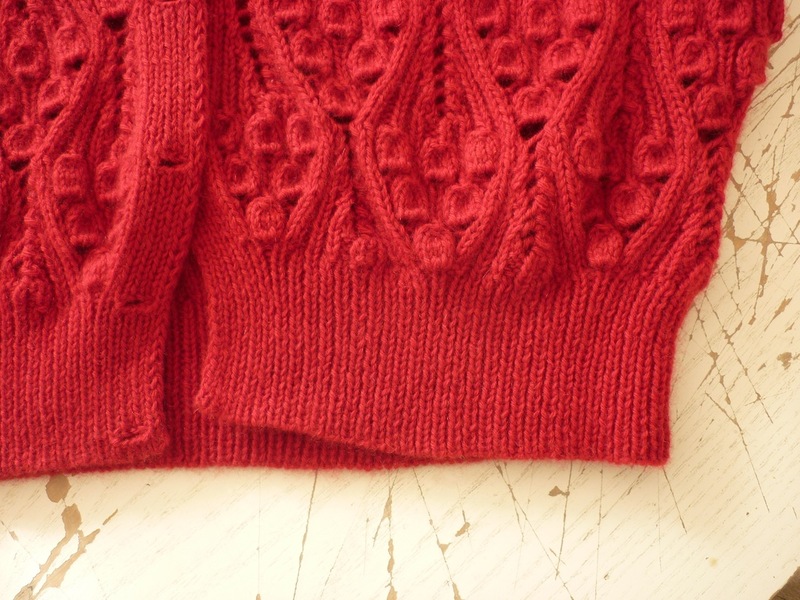 What are your top tips and tricks for knitting ganseys? 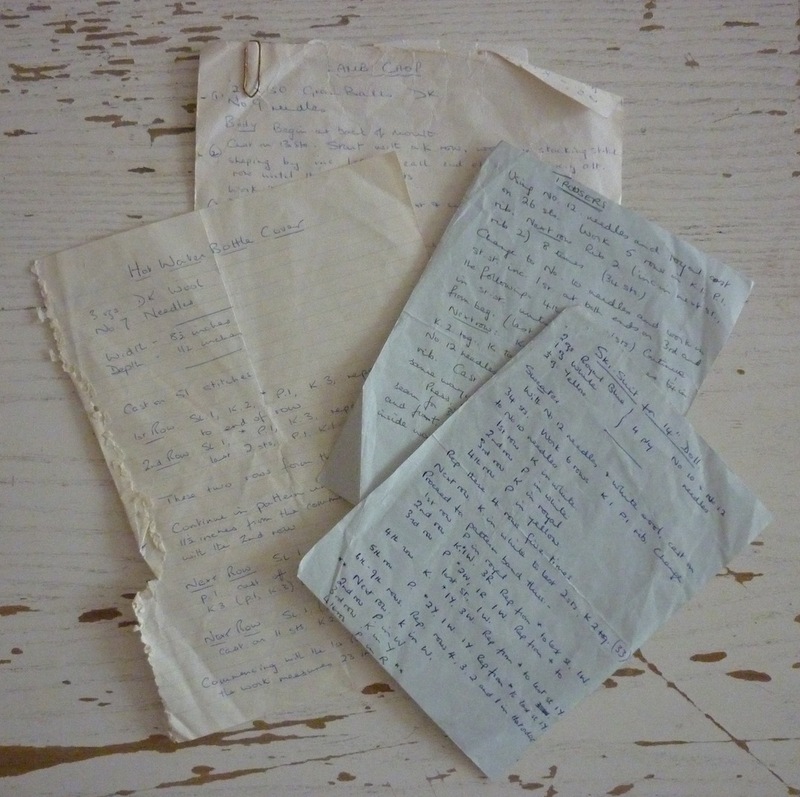 In spring this year, I was asked by Louise from Prick Your Finger if I could help out a lady in distress: Susan Crawford was about to release A Stitch In Time 2, and she urgently needed somebody to help her out knitting a jumper for the book. I’ll be posting about that jumper in part two. To show me what her new book was about, she sent a link to this video. 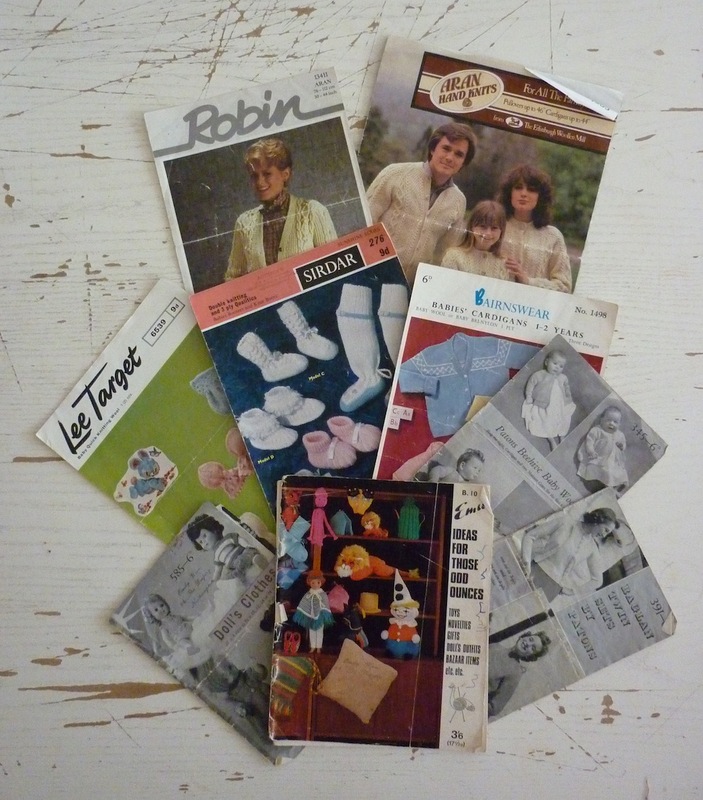 When I told Susan I’d love to help her out, I also casually mentioned I would really like to knit that embossed golden cardigan you see in the beginning… The rest, as they say, is history. And so about 2.5 months ago I received some squishy cashmere from The Skein Queen to knit Kasha (as it has since been named) for Susan herself. Once you get used to it, it is quite quick to execute. Promise! The keen observer will notice that there are no buttons sewn on as yet. Susan just couldn’t find the right ones in time for me to sew them on, but she has assured me see found the perfect ones now. I hope she will send me a picture soon – apparently it fits her perfectly. 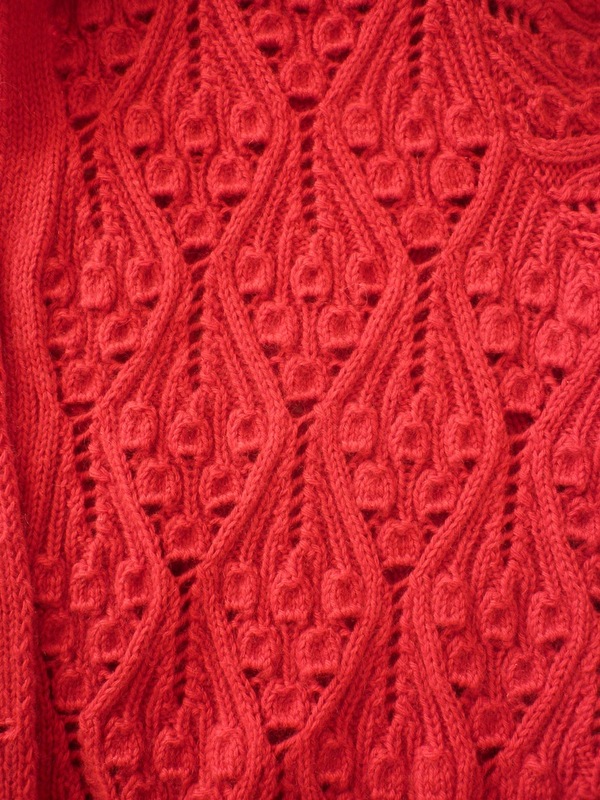 Keep an eye out for Susan – if she’s wearing a red cardigan, it could well be this one.